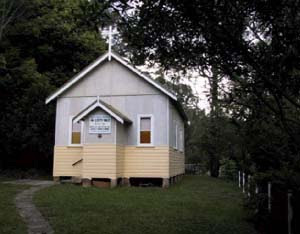 Over thirty years ago, the Uniting Church in Australia (UCA) embarked on what could have been a remarkable journey, but it deviated from its original course with devastating consequences. It is now a shell of its former self, like so much Liberal Protestantism throughout the West, having gone whoring after the strange gods of impotent theology, liturgical gimmickry, inert bureaucracy and social respectability. The past decade in particular has seen the UCA relinquish any prophetic vocation it might once have had — along with a considerable portion of its ecclesial and evangelistic vitality — and instead assume the inoffensive role of the religious division of a non-government provider of community and health services. And so, in an extraordinary apostasy from its original calling, the UCA has decided to represent the ‘middle way’, the path of least resistance, a facile alternative to fundamentalism, evangelicalism and pentecostalism. In short, it has become the lowest common denomination. It doesn’t take much effort to imagine that, if God sees fit to grant it another thirty years, all that will be left of the Uniting Church itself is the logo on hospitals and Blue Care letterhead — and that for purely historical reasons. Throughout his address, McCaughey pleaded for a return to the Basis of Union as a source of correction and renewal of the already deteriorating Church — a renewal, he emphasized, that must begin with the congregations themselves. Hence, for McCaughey, any suggestion that the Basis is merely an aspirational document or some transitional text that brought the uniting churches together (a ‘vanishing mediator’, as Max Weber would have put it) must be rejected out of hand. The Basis is a liturgical document, shaped by the logic of Christian worship (“the rhythm of the gospel,” as McCaughey called it ); as such, it lends itself fully as much to communal prayer as it does to confession. Just notice the prominence and deliberate usage of prayer-language and doxology in the Basis. Following the proclamation of the gospel (paragraphs 2-8) and affirmation of the Faith of the Church (paragraph 9), the Basis “prays that she may be ready when occasion demands to confess her Lord in fresh words and deeds” (paragraph 11). This liturgical approach highlights those defining prayers which have been given to the Church, but which have been scorned and neglected to its peril: the prayer for continual repentance (that God “will constantly correct that which is erroneous in her life”) and for strident witness (that the Church would be ready “to confess her Lord in fresh words and deeds”). Is God is killing the Uniting Church? Perhaps. Either way, its only alternatives are to continue indulging in the gratuitous “Church patriotism” that has blinded it to its plight thus far, and go on erecting stop-gap measures to stave off the inevitable; or it can embrace the fact that the Basis of Union has already placed the Church under the judgment of the Word of God with joyful repentance. For is this not the hope that the prophets extended to those ‘pilgrim people’ in exile: repent, and return, for who knows what God may yet do?